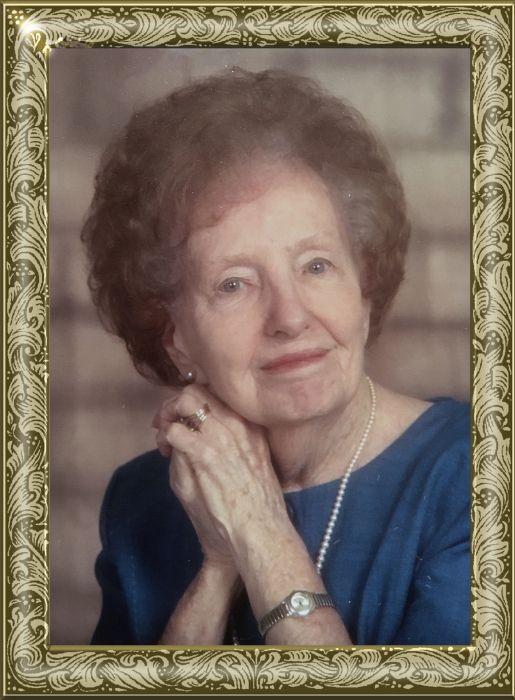 Helen Beatty Heafner passed away peacefully Wednesday, October 10, 2018, at the age of 95. Her father was Erson Calvin Beatty, Sr., and her mother was Birdie Lee Dellinger Beatty. She had one brother, Erson Calvin (EC) Beatty, Jr.
She was born in Lucia in northeast Gaston County. She graduated Appalachian State in 1943 and later married Bob Heafner of Lincolnton. She was very active at ASU and inducted into the Rhododendron Society in 2003, the highest honor given by the Reich College of Education. The Rhododendron Society recognizes graduates of Appalachian whose service as teachers, librarians, human service professionals or administrators has reflected great credit on themselves, the field of education and the university. Helen Heafner taught elementary school in Alexander County for 42 years, the last 35 at Ellendale Elementary. She was a classic teacher: gentle and quiet in style, but strong and committed to teaching and learning. Her lifelong love of music and people enabled her to help students experience success beyond their expectations. She was an active participant in the Hickory Community Concert Association, a board member with Alexander County’s Hiddenite Center, and a charter member of RCOE’s Advancement Council. She loved playing the piano and played by memory up until just recently, entertaining her fellow residents of the nursing home. She also taught piano lessons for a good many years. She loved to travel and enjoyed the arts. She is survived by two sisters-in-law and dozens and dozens of nieces and nephews. Helen is remembered by the family as a gracious and lovely lady. The funeral service will be held at 4 p.m., Tuesday, October 16, 2018 at First United Methodist Church. Rev. Joel Simpson will officiate. Burial will follow in the Taylorsville City Cemetery. Memorials may be made to: First United Methodist Church, 1400 Hwy 16 South, Taylorsville, NC 28681. Adams Funeral Home and cremation services is honored to be serving the Heafner Family.